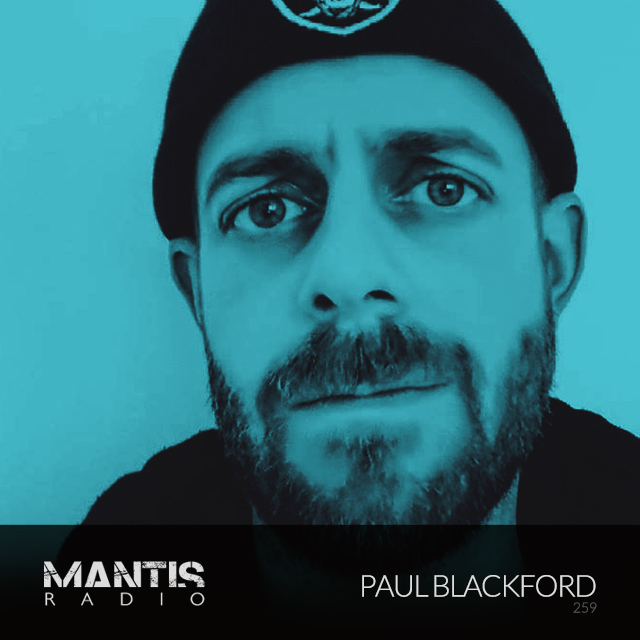 UK electro bass don Paul Blackford returns for a 3rd session, showcasing a wealth of new sound on a more mellow tip than previously. Prior to that, tracks from Actress, Mayhem, Nadine Shah, DJ Crystl, Keef Baker, Savier, D.A.F., Barks, Talker, In Slaughter Natives, and James Ruskin. We welcome back Paul Blackford with his 3rd guest session. He first guested on our show back in late 2008. He would return 4 years later alongside Kronos Device, Stormfield, The Inventors Of Aircraft, Laica, Ursa and myself at our 100th live broadcast special in February 2012. He has released a slew of electro and bass focused cuts for years including DMX Krew’s Breakin’ Records, Body Control, Tudor Beats, Battery Park Studios, Napalm Enema, his own and excellent Militant Science and most recently Cosmetiq and Central Processing Unit. The latter of which released his album Light Years, last summer. His session this week isn’t as high on the BPM as the releases he has made his name on, or his previous Mantis sessions, but it does continue to show his interest in the electro bass sphere.